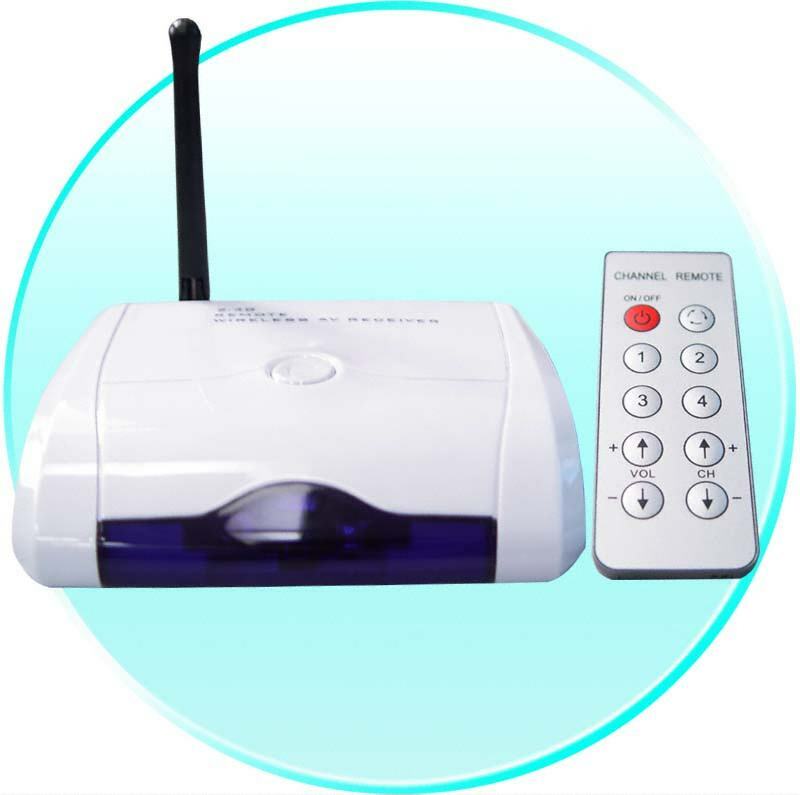 Wireless receiver - 2.4ghz 4 channel receiver with remote control and digital display. 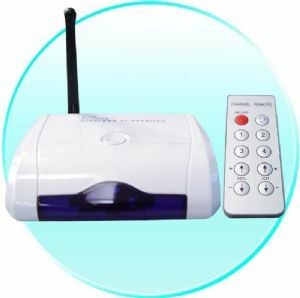 Portable / wireless 4 channel receiver, 2.4ghz with 2.5” colour screen, Remote controlled channel selector or 4 camera auto scroll function, supports 1 video and 1 audio out puts so can also connect to TV or video. Rechargeable, also supports one wired camera input. Compatible with all our wireless cameras. Supports up to 4 cameras. 2.4ghz receiver for wireless cameras on 2.4ghz frequency. Supports color vision, sound, time & date stamp, software, records on to the computers hard drive. Also connects to tv.